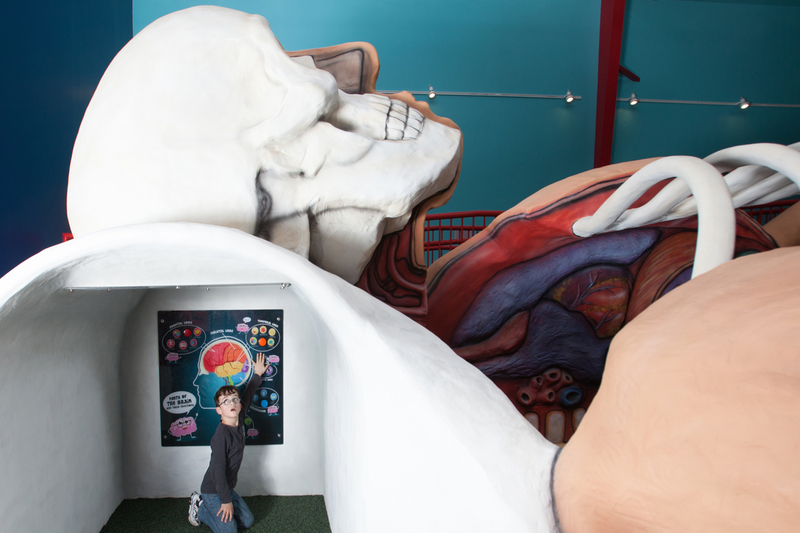 Nothing more intriguing to engage kids in lessons of health and hygiene than the cross-section of a 45 foot dude! 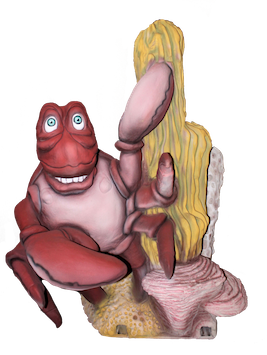 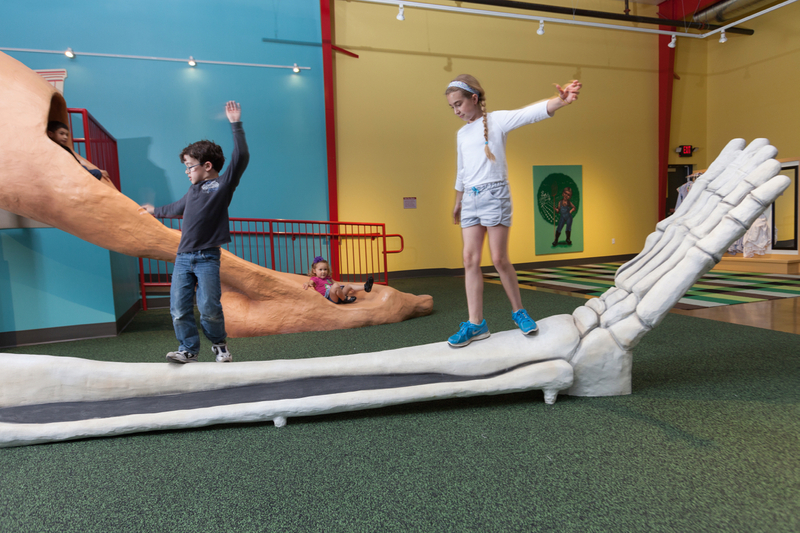 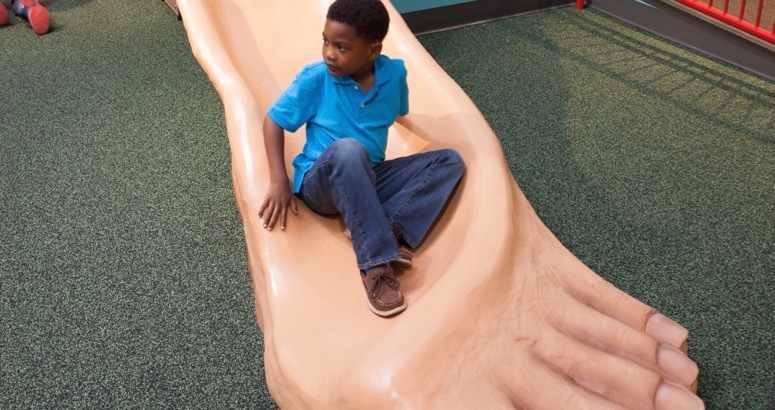 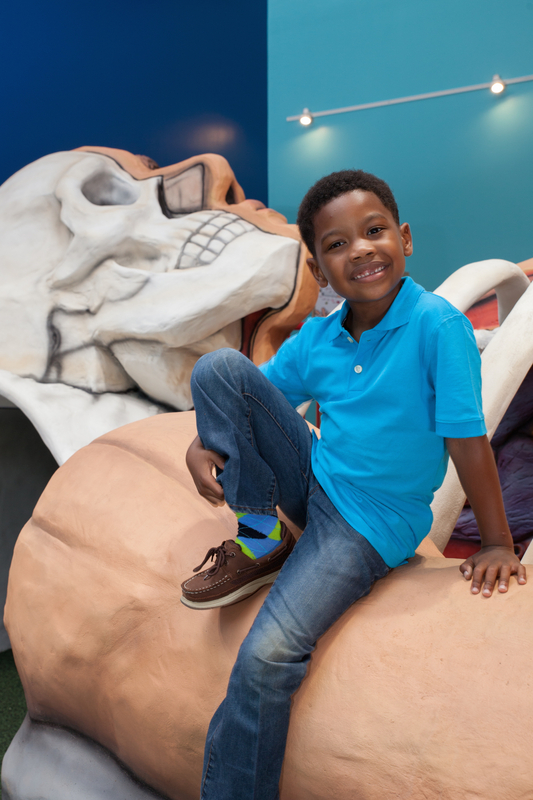 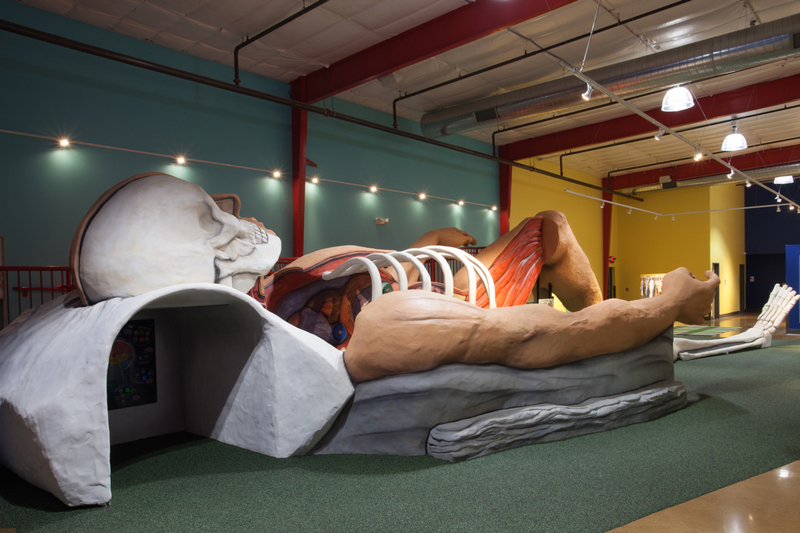 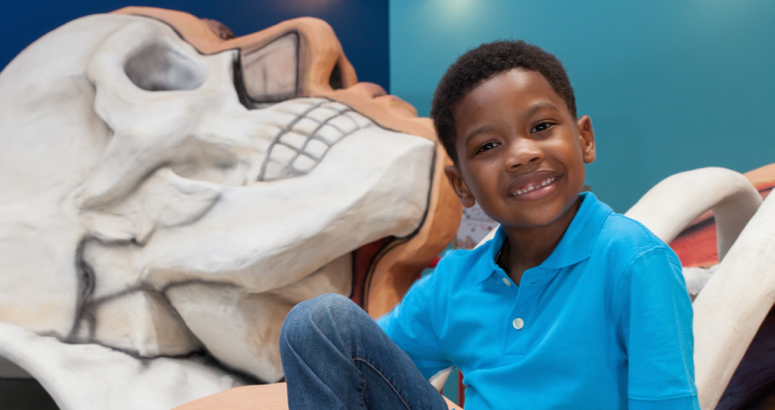 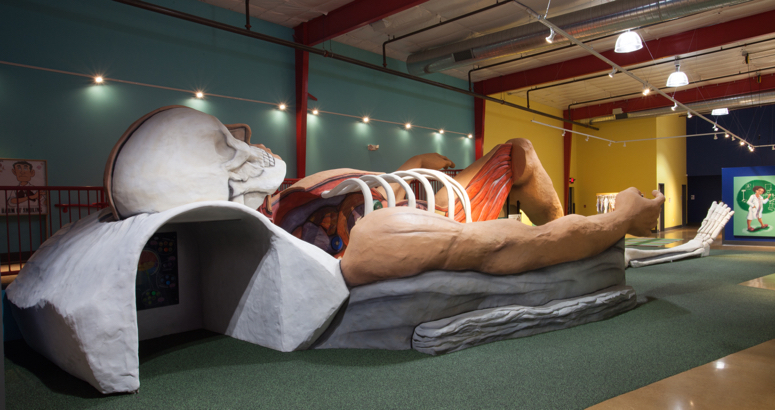 Meet “Dexter” the all-inclusive interactive play exhibit designed and built for HealthWorks Kids museum in St. Louis, MO. 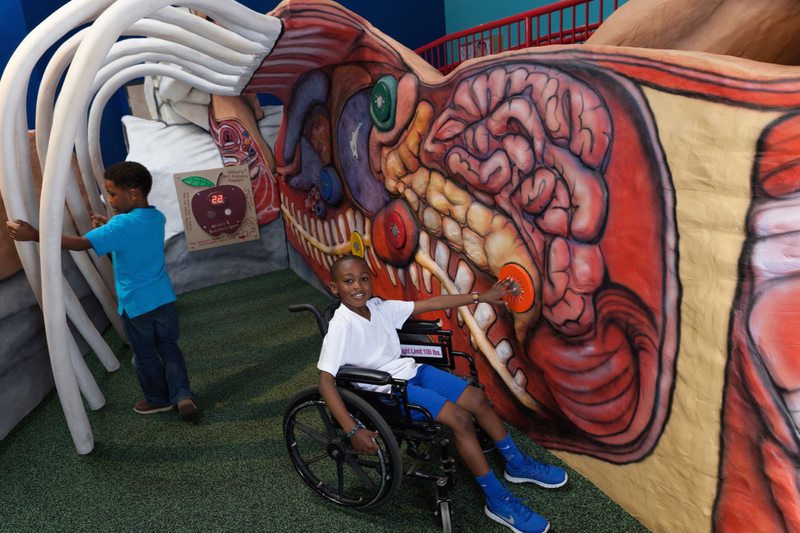 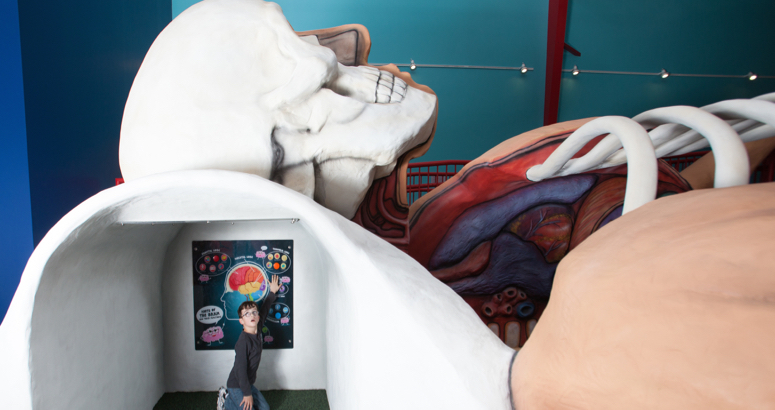 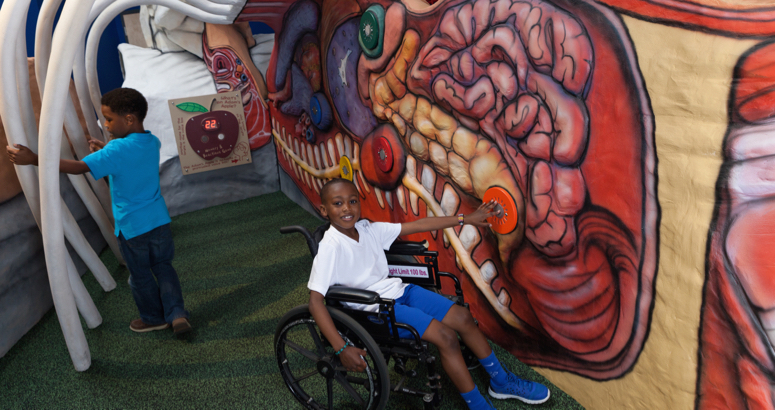 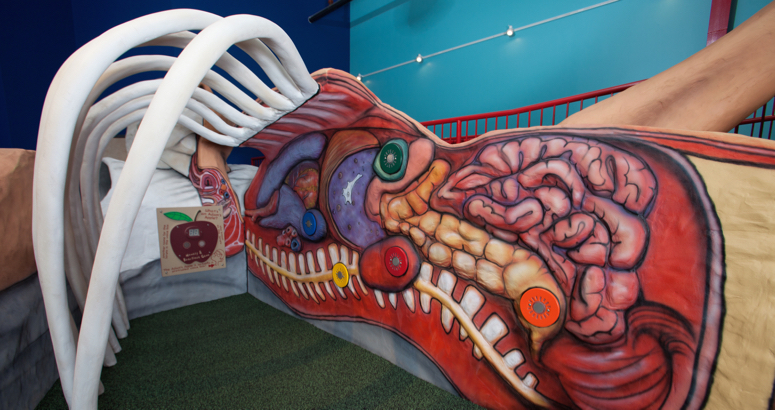 Kids can enter an all-accessible tunnel to explore and learn about the different areas of the brain. 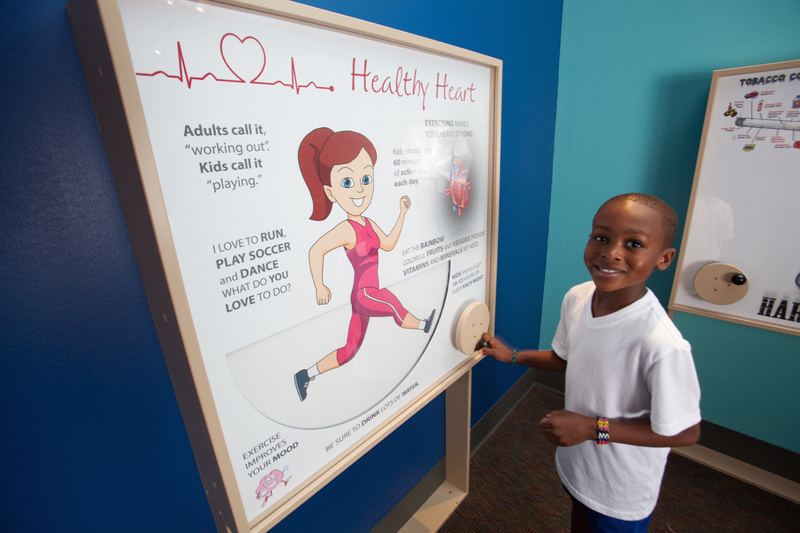 They’ll discover the many functions of the brain through an interactive LED panel. 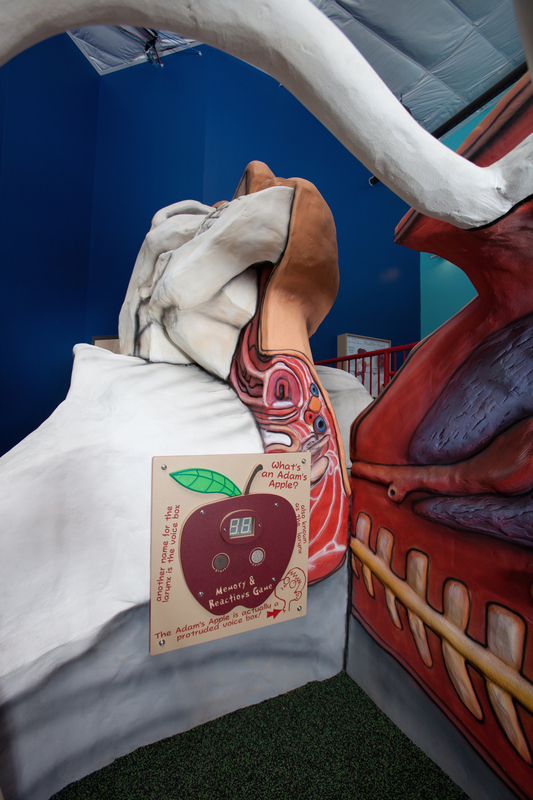 We brought a physical element to the classic game of “Simon Says” where kids learn about their “Adam’s Apple” (larynx)! 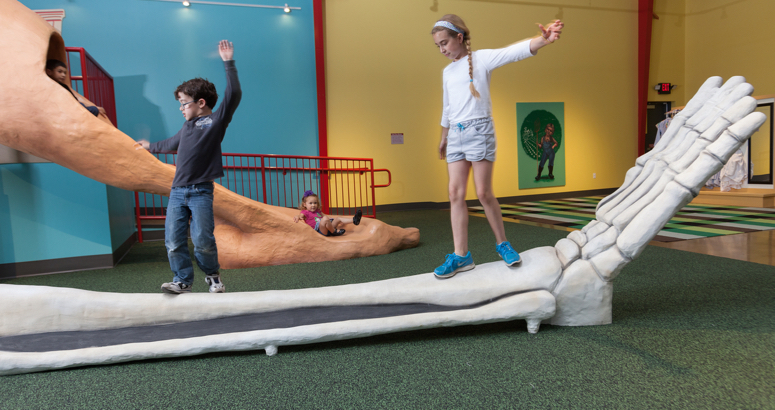 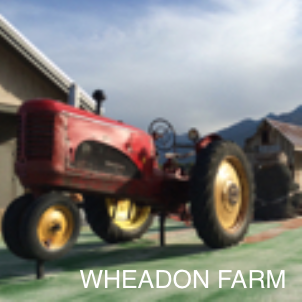 Traditional fun with a twist include a Tibia balance beam and leg slide. 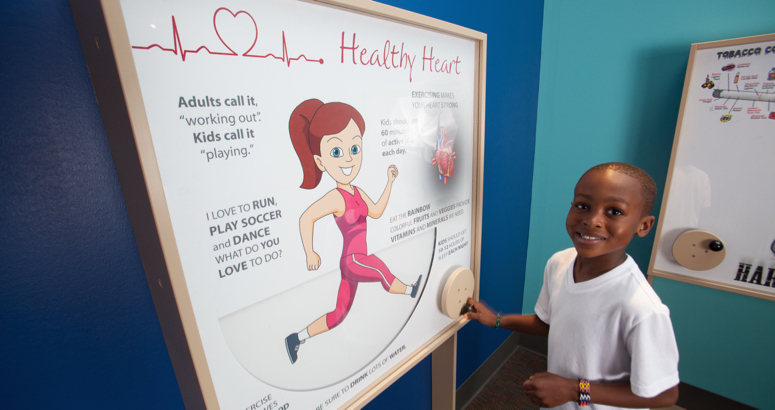 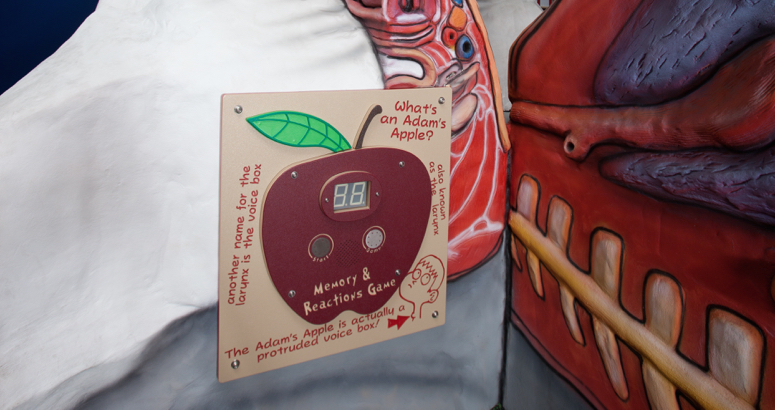 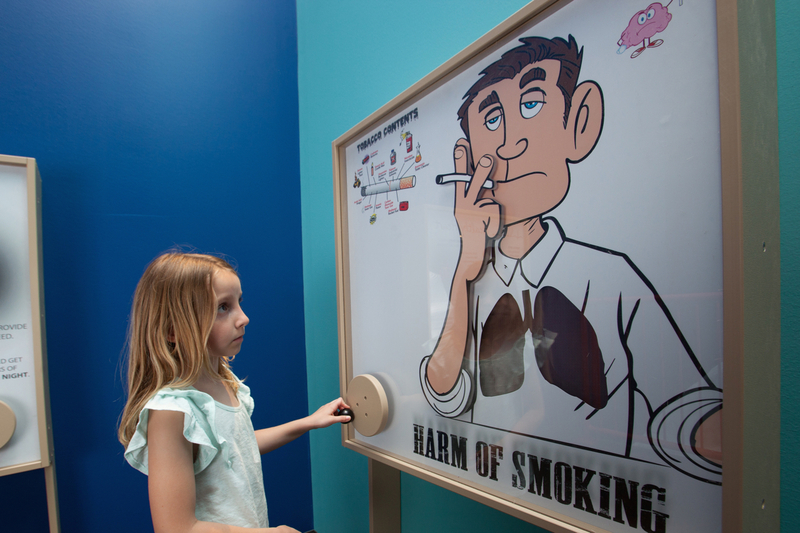 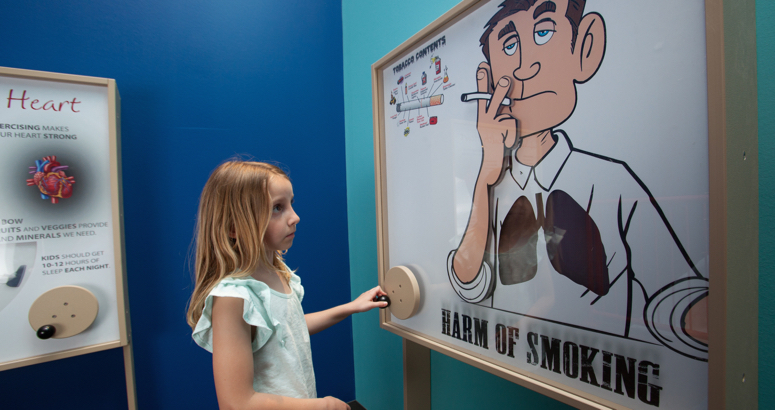 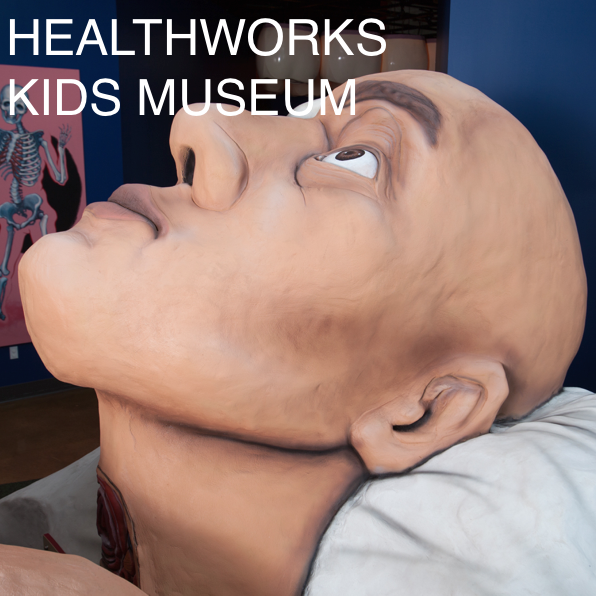 Other interactive elements include a visual and interactive display where kids see the effects of smoking on the lungs, learn about the importance of exercise and even dispel the mystery of poop! 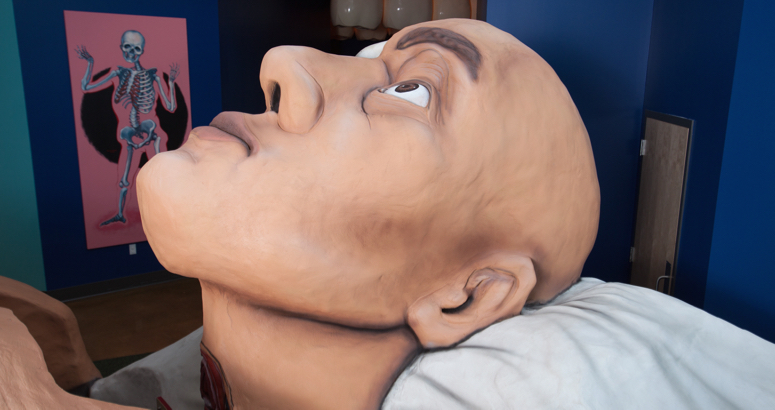 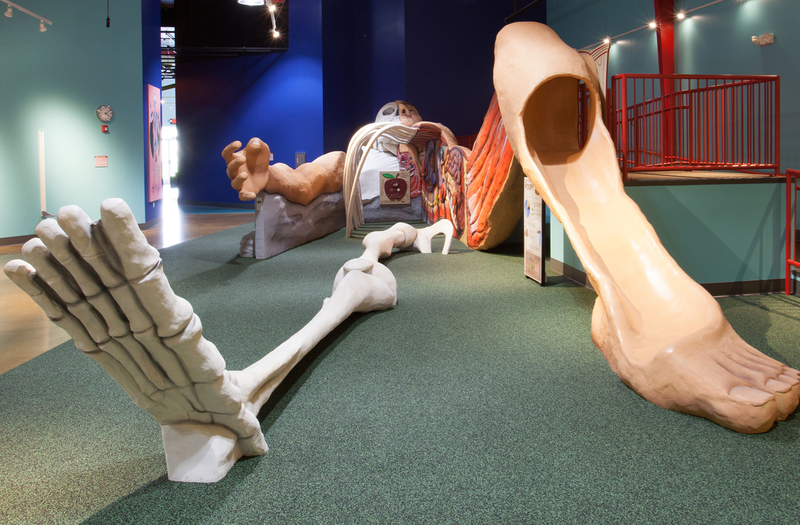 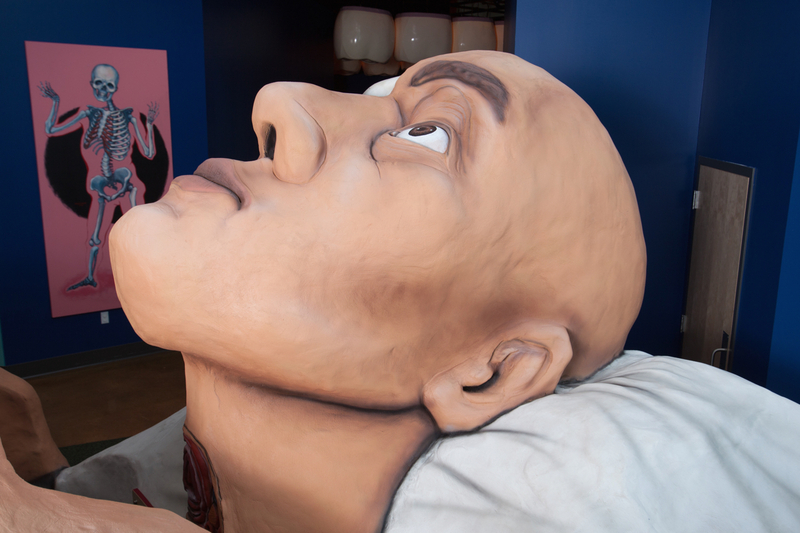 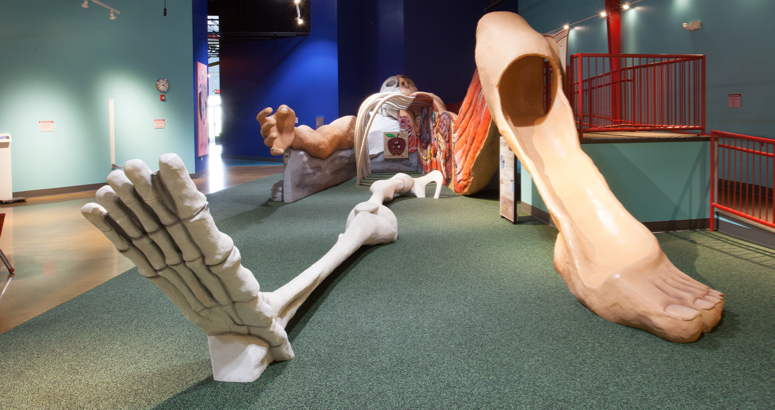 Yep, this exhibit ‘spills the guts’ on the human body and offers unique and challenging lessons from head to toe. 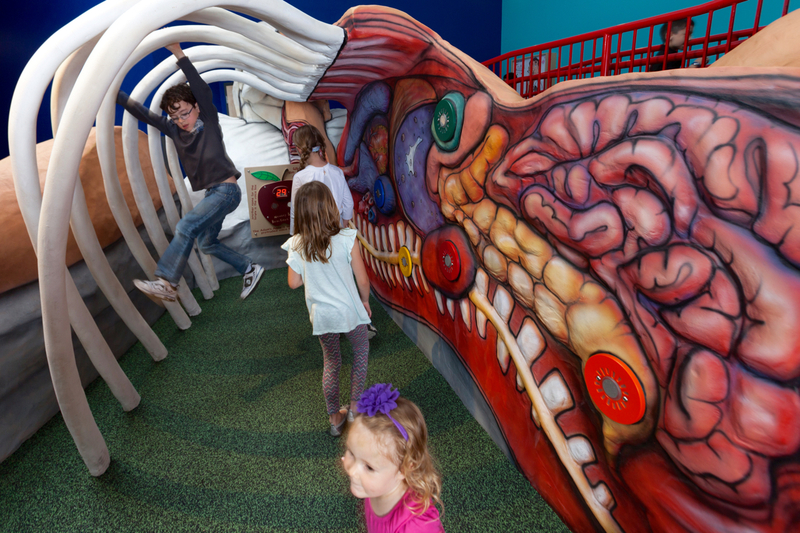 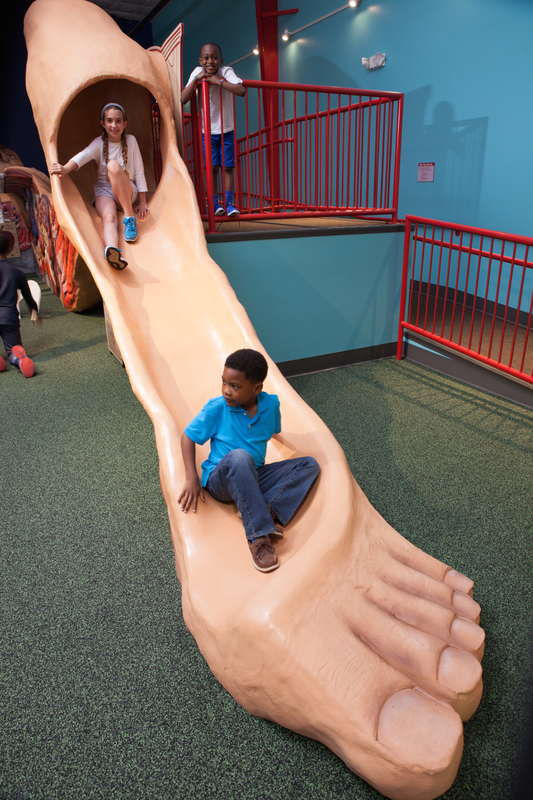 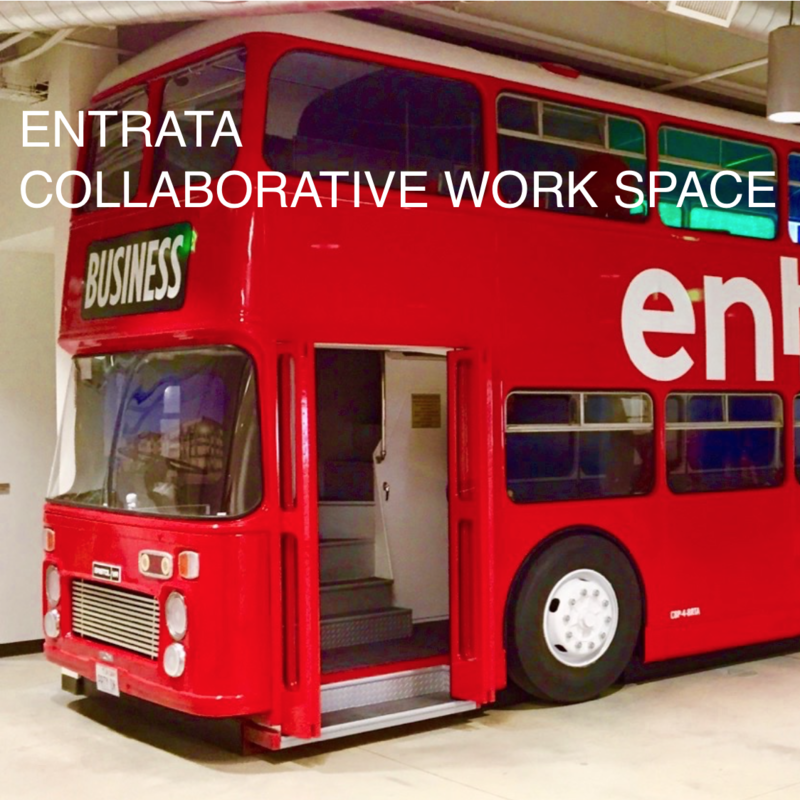 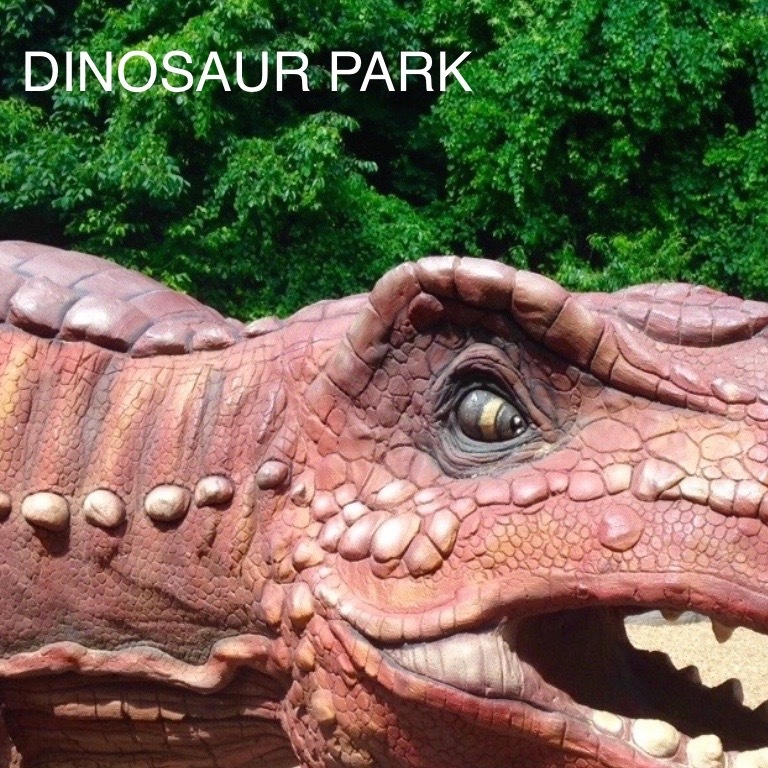 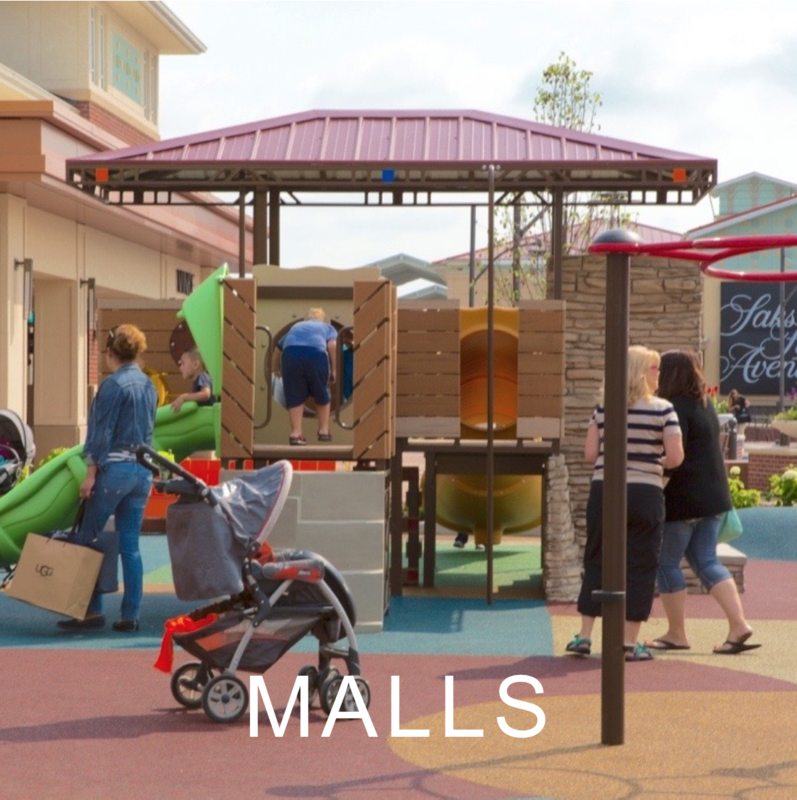 Like all Cre8Play environments, this play exhibit is fun for kids of all ages!